Today we're reinforcing our love of Jessica Day George with an AWE.SOME. prize pack sponsored by Sierra @ Yearning to Read! Leave a comment telling us why you want to read these books (and give a BIG THANKS to Sierra! ); make sure we have a way to contact you! And make sure to check out our other Jessica Day George Prize Pack! A HUGE Thank You for this giveaway, Sierra! I am looking for some new books to read and they seem PERFECT. I am a GFC follower of Sierra's blog. Thanks so much! I would like to read them because I recently read a period novel about royalty and now I am hooked and looking for good ones! Oh my goodness! I want to win this so badly because this prizepack has MY TWO FAVORITE FAIRY TALES!!! The Twelve Dancing Princesses and East of the Sun, West of the Moon are, seriously, my favorite fairy tales ever. I follow Sierra's blog via GFC. These books just sound really cute and different. I would love to win a copy of them. I would love to win this awesome prize pack because a friend suggested that I would like Sun and Moon Ice and Snow. I am a GFC follower of Jessica's blog. THANK YOU SIERRA FOR THIS GIVEAWAY! Thanks to Sierra for the giveaway! I've had my eye on these books and would love to win them. Love fairy tale re-tellings! Thanks a ton for this giveaway Sierra! That is also where you can contact me if I win. Awesome! I'd love to win these books since I've had my eye on her books for a while now. 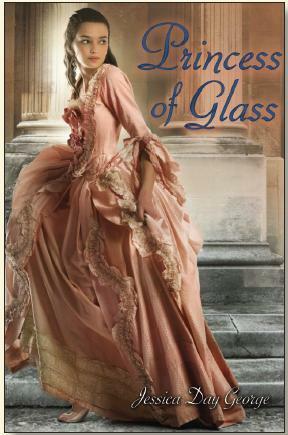 I just read your review of Princess of Glass as well. Sounds interesting even if you thought it wasn't her best! I've been wanting to read these books since the FIRST Jessica Day George post, and now I only want to read them more. They look like real fairy tales--stories that have a great plot. All of these books sound great, and I love reading historical romances. I'd love to read something with some fairy tale flair! I commented on Jessica's interview. I would love to win these books. They are in the genre that my sister and I can agree on, lol, she refuses to read any of my zombie books :(, so these are books we can both read. I follow Sierra's blog on GFC under Krysta Banco, and so far I have commented on "Interview and Giveaway with Jessica George!" AHHH!!! I love JDG - why else would I enter! I want to read her new one so much and I always love re-reading her excellent books! thanks SOOOO much for the giveaway Sierra! I commented on the Jessica Day George interview. thanks! 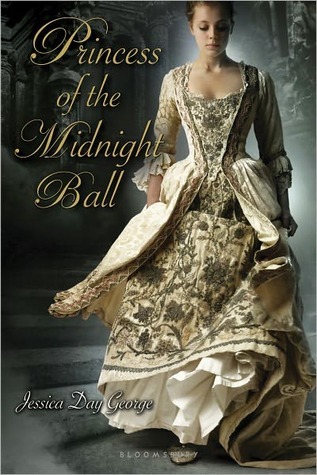 I want to read these because I've heard so many good things about them, especially Princess of the Midnight Ball. great giveaway...I want to win because I so want to read these books. Love fairy tales. Wow thanks for an awesome giveaway - I would love to read these books they look fantastic! Thanks for the giveaway! All of these books sound amazing. 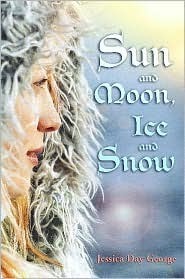 A polar bear prince and an action-packed happily-ever-after quest, sounds awesome. I want to read these books because they remind me of stories I loved as a child.